The Trane Single-Stage XR90 is a popular choice with those looking for basic quality and reliability in their next gas furnace. It doesn’t offer the high-performance features that more expensive models do but that is just fine with many consumers who choose value as their primary consideration. It does offer good energy economy and a price point that won’t break the budget. In this HVAC prices review, Thomas in Garfield Kentucky shares his Trane Single-Stage XR90 gas furnace price with us. “I thought I’d pass along the price I paid recently for a new furnace since the letters others wrote helped me decide on going with the furnace I chose. Our old furnace had been repaired in each of the last 2 winters so I wasn’t going to wait for it to go out on us again. 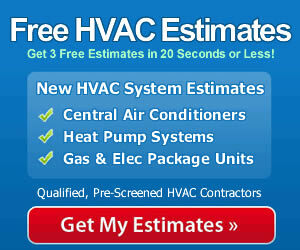 In August I started researching gas furnace prices and found this site. I narrowed my choice to an American Standard, a Carrier or a Trane, had 3 contractors come out, and then made our decision. The Trane won because of the combination of high efficiency, low cost and the strength of the brand name. The installation was higher than a lot of install prices I see on this site. All 3 contractors said that the reason was the need for a lot of sheet metal work as well as adjustments to the exhaust vent from the old furnace so that it could be used for this one. The first night I ran the furnace in September I awoke to the sound of the basement CO detector going off. I thought it was the smoke detector at first but got down there and realized what it was. I turned off the furnace, opened the basement windows and aired out the place. I called the installer at 7:30 and he came right over. He couldn’t find any cause of a CO leak in the vent but then checked the furnace itself and found a good-sized crack in the connection to the vent. He didn’t know – or didn’t admit it if he did – whether he’d caused the crack or whether it came from the factory like that. He should have caught it either way, IMO. He didn’t have the part and so had to order it next day air. He brought it over about noon the following day and in an hour had everything ship-shape. Up to 92% AFUE, an Energy Star rated furnace. Compact size provides more options and easier installation. 4-speed blower motor is efficient and runs quietly. Onboard self-diagnostics make trouble-shooting easy. Primary heat exchanger made from one-piece aluminized steel. Secondary heat exchanger is made from patented AL29-4C stainless steel. Upflow/horizontal and downflow/horizontal models offered. Galvanized steel cabinet is sturdy, insulated to reduce sound, and powder-coated for durability. Multiple sizes include 38K, 56K, 74K, 94K and 112K Btu capacities. Lifetime limited warranty on the heat exchanger; 5-year warranty on functional parts which is increased to 10 years when the Trane Single-Stage XR90 is installed as part of a complete XR HVAC system. Extended warranty coverage is also available. Thomas’ letter makes it clear just how important it is to have a qualified contractor with good experience install your furnace. Too much is at stake to have a poor quality job done. Check out your potential contractor thoroughly and call their references when possible. And remember to place a carbon monoxide detector nearby to offer additional protection for your family.